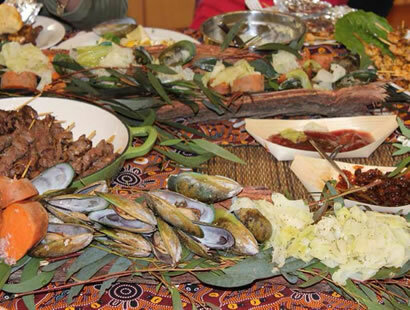 The Koori Kulcha Aboriginal Corporation (KKAC) is proud to announce the opening of the Koori Kulcha Experience (KKE) Dining and Training Facility to the public. This facility is the first of its kind. Discover culinary treats 60,000 years in the making in an unforgettable Koori Kulcha Dining Experience. Transforming from training facility by day to fine dining experience by night, we proudly combine a unique indigenous degustation menu with special performances for small groups and corporate events. Unique. Indigenous. Australian. Welcome to our country. Book Now! Bookings are essential as we are only open to the public for a limited number if dates each month. To enquire about our Ultimate Dining Experience Services please fill out the Enquiry Form or Contact Us by phone or email.